Dina Kowal Creative: House Mouse Challenge Blog - 2nd anniversary! House Mouse Challenge Blog - 2nd anniversary! Use your imagination, ok........? This is the Wishin' Well stamp from House Mouse's Happy Hoppers line - the scene is watercolored with a variety of stuff... reinkers mixed with Shimmerz, markers, Twinkling H2os, and Derwent WC pencils. I think that was all..... (!) I sketched in lots of grass, inspired by the Shabby Tea Room's challenge (#27) to use natural elements, images, or green. I used Twinks on the coins so they're sparkly, and covered the jar with a clear Glaze pen (Sakura). Oh right --- there is Flower Soft on the bunny tails... couldn't help myself! Thanks for dropping my blog and it's nice "meeting" you! 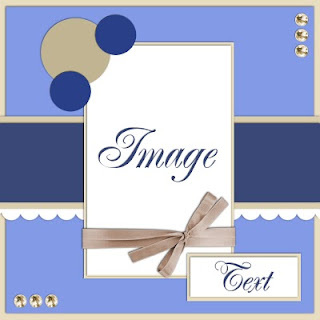 WOW - fabulous card, fantastic colouring and I just love the clean and simple look you've achieved. How adorable! That stamped House Mouse image is truly a star here on your card. Love, love your coloring and the extra detailing with the flower soft, the glaze and the sparkle. Thanks for sharing with us at TSTR. this is adorable Dina!!! how could the folks over at House Mouse mind??!! LOL!! I love how you color with more than one medium!! I have taken your lead and added pencil crayon to my Copic coloring these days and I love the additional depth I can get that way!! Thanks for the inspiration!! What an adorable card and the embossed lines look neat plus that cute addition of Flower Soft. Hey Dina, I recognize that stamp...what a nice job you did with it, worth the wait! Beautiful coloring and that bow is lovely. Thanks for joining us for the House Mouse and Friends Monday Challenge. Hope you come back often. A beautiful way to show off this fun stamp.Love the image on white! Oopsie...hit the publish button before I thanked you for sharing with us at House Mouse and Friends Monday Challenge! Very pretty! Thanks for joining the HM&F Celebration Blog hop and Challenge!